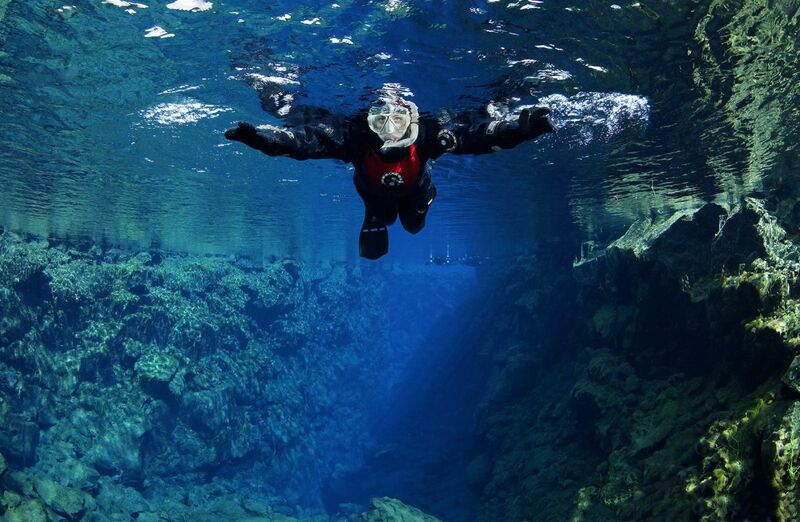 Snorkeling in bubbling hot springs is usually impossible as the water is far too hot, but the hot springs at the bottom of Lake Kleifarvatn provide us with the opportunity to do just that! Lake Kleifarvatn is hidden within a stunning volcanic landscape just 30 minutes outside of Reykjavík. Standing at the lake shore and changing into your dry suit, you will probably catch a whiff of the sulfur emitted from nearby hot springs and the total silence will let you forget that you are anywhere near civilization. 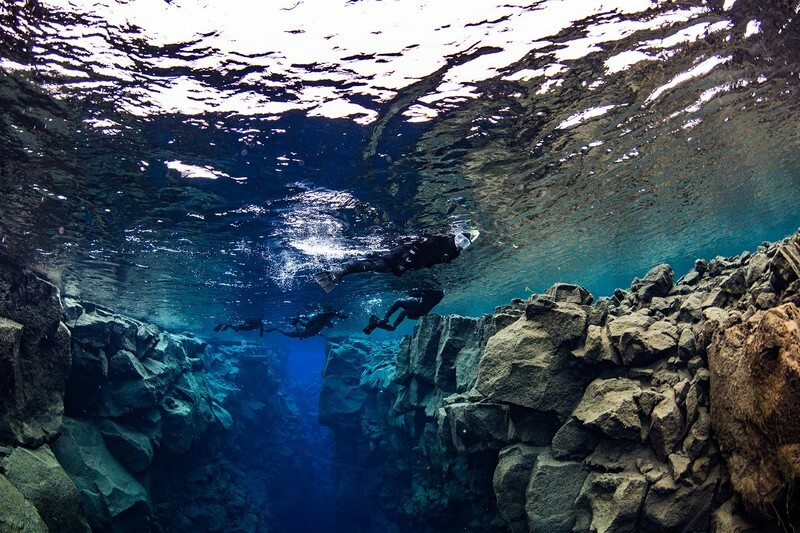 The underwater hot springs in lake Kleifarvatn have only recently been discovered and are about a 50 meter swim from the shore. In order to get to the snorkeling site, we first need to hike about 800 meters from the car to the beach, where we will get suited up into the snorkeling gear. Upon entering the lake you can see the white and yellow sulfur deposits on the lake floor. When we swim closer, you’ll begin to sense the environment around you changing as you approach the gas emanating from below the lake’s floor. We’ve heard this sensation described as similar to ‘snorkeling in a glass of Champagne’ — the fact that you are snorkeling in a caldera is also impressive enough! When back on land you will enjoy some hot chocolate, cookies, and traditional Icelandic snacks at the shore before moving on to Seltún, a nearby high temperature geothermal area on land. In Seltún you will walk along the boiling mud pots and colorful sulfur deposits. We highly recommend that you bring your swimsuit with you. Your next stop after this tour could be the nearby Blue Lagoon or at one of Reykjavík’s local geothermal pools where you can relax in the hot tubs and end the day in traditional Icelandic fashion. ​11:00: meeting at Seltún Geothermal Area parking lot. 10:00-10:30: pick up in Reykjavík.